What we love to do and what's practical becomes so disconnected as we grow up. Exploring the avenues of joy and creativity to find our passion at an early age is likely the quickest route to increase the chances to achieve a balance. This process is not a point in time, rather, a journey our students go through that opens up so many possibilities. At Nextide Academy, we have added programs that will introduce the students to activities that will impact the community around them. As they surround themselves with the experiences, the awareness to what they want to become or what they want to create will grow. We have considered all that we have researched and know about the elementary school child and have created our programs that best meet the needs of this age. We encourage student independence and ownership as learning happens in small groups. Our learning center will provide the foundation for all academic areas and we are constantly introducing new concepts/programs to adapt to growing needs of our students. Our programs are tailored to the needs of our students as we understand that not all students learn at the same pace. Our curriculum and schedule allow us to move students through material at a pace that best meets their learning style. We insist a strong partnership between parents and the school. We value the vital role that parents play in supporting our mission. We invite our parents to share their expertise and passion in the classroom. We make our students learn that learning happens all around us all the time. Our K-5 students also observe and learn from and with our middle school and high school students, forming working and social relationships with a wide age-range of students right here. We truly believe we have built a special place and we welcome you to come talk to us to learn more about us. Traditional schools dictate the pace of learning. Time and again, we have forgotten that a typical academic year may be too long for some students and too short for some others. If kids are constantly at “above grade level”, we believe that they should have the opportunity to get to “their grade level” and move on. Education must be tailored to the abilities of the individual. Our academic enrichment programs enable our students to enroll in courses matched to their abilities and are not discriminated by “time”. Nextide Academy offers a comprehensive and well-rounded education with courses based on solid research, sound pedagogy, and applied innovation. Nextide Academy offers courses from 1st grade to 12th grade. We have rigorous and relevant curriculum that challenges the students with a novel approach – engaging them with interactive, media-rich content. Courses offered in Academic Acceleration and Enrichment are as follows: Reading, Math, Science. STEAMSTEP is our innovative after-school program designed to give students the opportunity to explore various STEM and Arts content areas. The Daily power-hour of learning fosters curiosity and iterative learning. Our goal is to help our students explore their potential and make them better critical thinkers. Our after-school program is an integral part of the educational experience, providing opportunities for students to explore new areas, develop their talents and become acquainted with our educational ecosystem. We listened to the needs of our primary stakeholders,parents and students, and have designed our after-school program with the flexibility to tailor the same for each of our students. Our daily power-hour activities include but are not limited to: debate, creative writing, piano , art, technology (3D-Printing, Robotics), trail walk, and indoor/outdoor play, etc . Once our students get an introduction of these activities and find an increased interest level in specific activity, students are given the opportunity to broaden their imaginations by enrolling in specialized programs that we offer. We target student’s curiosity and satisfy it through demonstration and observation that arises further curiosity that fosters deeper learning in areas of interest. Be apart of an after-school program that offers just the right balance of academics and extracurricular activities. Our Elementary STEM program is designed to give your student a clear understanding of each aspect of STEM. This program is offered 3 separate days to insure that your student is receiving the hands on, and tailored approach they need to better meet their needs and understand the importance of STEM, because we understand that not all students learn at the same pace. Explore the wonder of science and technology in all aspects of life in our Elementary STEM course. Answer your questions about light and electricity. Inquire into the nature of colors and how they come about. Understand the mechanics of force and other laws of physics. Become a math whiz. Learn the technology behind everything you see as you go about the day. Jog the engineer in you! Let your imagination take a physical shape. 3D Printing introduces our students to the hardware and software technology behind 3D printing. The next industrial revolution is all about personal fabrication, and it’s happening now. 3D printing is poised to unlock the potential in every person to create, innovate and fabricate. It’s already transforming manufacturing; soon it will change the world. Explore all of the avenues your imagination can take you on and get hands on training on 3-D printing objects. Set your goals high and dream to be an Olympian! We offer a comprehensive math problem-solving curriculum to students in grades 5-12 to take on the most rigorous curriculum sequences. Create your road map to achieve national and international recognition. Master the subject from simple arithmetic to calculus at your own pace and pave your way to ace the competitive and admission tests; while applying math to solve real world problems. Has your child argued with you using a series of “Nah uh” and “Uh huh!”? Do you wish your child could start learning the proper process of critical thinking and argumentation? Sign up for our Elementary Debate class! Students will receive coaching from our accomplished instructors at the students’ desired paced to help them excel at the competitive level and will learn how to identify flaws in an opposing plan while eloquently explaining the problems of the opposition and simultaneously supporting their own plan. Students will learn the basics of debate theory, including lessons about propositions. Your student will begin understanding the differences between a well-formed argument and simple contradiction. Above all, the debate class will introduce students to the preliminary elements of rhetoric to improve their speaking power along with their argumentation abilities. The goal of this program is to encourage students to observe their natural communication styles and gifts while adding new skills and approaches as well. This program offers each student the opportunity to learn in a fun familiar way and improve at their own pace and skill level. Learn how to apply the skills that the students learn in this course to real life situations. Explore over 66 developmental points for students to be assigned to improve on over the course pending on their specific need. We will evaluate each students reading, confidence, and ability to communicate with others initially and assign a corresponding developmental point for them to improve on. Students will have opportunities to participate in local and regional speaking competitions, story-telling events, and to use audio and video equipment to document and help with their comfort and confidence in speaking to an audience. Through this program, students will build confidence and feel more comfortable around people, they will improve their Personal Reading, receive help with analytical and organizational skills, answer questions, put their thoughts down in writing, utilize listening and memory skills, and begin college essay preparation. As a result, students will be able to confidently organize, develop and deliver a speech on their given theme or topic. Students will be assisted in their creative expression, as well as delivery of one’s writing. Discover the craft of writing through writing short stories to complete a final product. The students will write, revise, critique, and ultimately publish their own creative works. Take part of writing, designing, creating and publishing our monthly newsletter. Create your own literary masterpiece! Place a greater importance on the experience of creating a work of art rather than the end product. Enable your student to learn with no limitations. Students will experiment with a variety of mediums and techniques and also work with one another on group projects. Strengthen your child’s decision making skills, show them the value of teamwork, and also teach them that way in which you achieve something is just as important as what you are trying to achieve. At the beginning of the course, the student will be assessed by the way he/she approaches the first project. Each student will be evaluated on their progress throughout the course based on their progress. Learn the art of observing a subject from life and then translating it onto a surface. Each project will introduce the student to different materials, like charcoal or graphite. Students will be able to use these skills in all other areas of art education as well as in social settings to better assess a situation and respond with an appropriate reaction and will come away from the course with the knowledge of how to draw a still life, figure, and landscape. Discover the art of decorating objects with paper cutouts. The task of creating something within a certain theme will allow your child to see patterns and motifs in real life situations as well as in art. Ever wanted to learn an instrument, but struggled to find a way to learn it in a convenient, enjoyable manner? We can help you! Explore the wonders of music and play the instruments you’ve so enjoyed hearing and desperately sought to play. Our piano and violin instructors will work patiently with you and help you fulfill your passion as they guide you in developing your skills. Whether you are new or experienced, our facility is here to train all music lovers who come! Explore the wonders of music and play the instruments you’ve so enjoyed hearing and desperately sought to play. Our private piano courses are gradually distributed over 6 levels. Each level is constitutes to one academic year. Our curriculum is comprehensive and customized to fit students of any age and level of experience. Music sheets will be provided. European Classical (EC) adapted to American tradition. Assessments will occur twice a year with all studied pieces. In the end, students will be graded with the aim of encouragement and motivation. III. Piano repertoire, which includes pieces of all forms and styles from European American classical, baroque, renaissance to contemporary, folk and jazz. IV. Picking the melody by ear. I. Examination’s and Competition preparation if qualified. II. Knowledge in Music. III. Solid foundation for piano performance. IV. Higher range of intellectual vision. V. Ability to take risks and conquer. VI. Visual, verbal skills and memory improvement. VII. Self control and discipline. VIII. Ability to think independently. IX. Right attitude. X. Good effect on HEART, BRAIN and HEALTH. Please call to schedule your 30 minute session! Our violin instructors will work patiently with you and help you fulfill your passion as they guide you in developing your skills. Whether you are new or experienced, our facility is here to train all music lovers who come! In a perfect world every child would master all the skills necessary to succeed academically. But children learn differently. In a school setting, teachers teach the same material differently. However, specialty schools expect certain results in certain subject areas. That’s why a standardized admissions test is a critical part of most private school admissions requirements. Thomas Jefferson High School for Science and Technology in Fairfax County and Academy of Science in Loudoun county fall under this category. These schools require a long term approach to admissions test preparation. At our K-12 Center, we monitor our students progress carefully, identify any deficiencies and re-mediate them. We also maintain a climate for academic success that prepares our students for competitive admissions tests. Predict your students’ future performance in honors and advanced placement classes, critical thinking classes, state proficiency exams, college admission and even in a career situation. The assessment considers faculties such as memory and academic initiative to determine a student’s potential, while evaluating a student’s strengths & weaknesses and the results of the assessment show how close a student is to fulfilling his/her potential so we know how to help! The assessment will allow us to assist the students and parents to predict students’ future performance in honors and advanced placement classes, critical thinking classes, state proficiency exams, college admission and even in a career situation. ACT Aspire is an assessment system that measures academic achievement in English, math, reading, science, and writing. ACT Aspire is linked to the ACT College and Career Readiness Standards, research – based information that makes test results meaningful by connecting a student’s ACT Aspire score to specific skills and knowledge important for college and work success. We use this information to address areas for improvement, build on strengths and most importantly, impact our student’s potential. Critical thinking is self-directed, self-disciplined, self-monitored, and self-corrective thinking. Middle grades are the most fertile years in a child's education. The transition from elementary to middle school can also be challenging to many students. Our programs are geared to address these challenges as we guide our students through these fertile years in realizing their potential and setting realistic goals. Academically talented students will need new challenges, special motivation, and support. At our learning center, we will provide the opportunity for above-level testing, feedback on their abilities, educational resources, and encouragement to continue advancing educationally. Students will be introduced to opportunities in special group projects to develop their social skills or in independent assignments that allow them to pursue their personal interests in greater depth. Highly-motivated, self-starting learners develop advanced critical thinking skills through project-based learning and interdisciplinary thinking. Students pursue authentic, creative projects and problem sets that challenge students at their individual level. We listened to the needs of our primary stakeholders, parents and students, and have designed our after-school program with the flexibility to tailor the same for each of our students. Our daily power-hour activities include but are not limited to: debate, creative writing, piano, art, technology (3D-Printing, Robotics), trail walk, and indoor/outdoor play, etc. .
At Nextide Academy, we believe that every student is gifted and no matter their age and has the ability to make a positive change in the world. Our Robotics program empowers students to make the change they believe needs to be made in the world. Whether your student is a beginner or advanced, this course will work with each student to help him or her achieve the goals they set for themselves. Our Robotics team is committed to teaching, discovering, and utilizing ways to make sure your student is challenged, yet, successful in accomplishing their goals. Experience hands on learning through working with state of the art robotics kits such as; Arduino and Raspberry PI. Empower young brains to invent, discover, and solve real world problems through robotics and engineering. Sessions will cover: Introduction to Electronics & Materials, Computer Aided Design, Concepts of 3D Printing, Introduction to Computer Science and Programming Techniques, progressive learning path with iterative learning and associated deliverables/demonstrations, readiness for competitions, show & tell and group recital demos. Take your ideas and bring them to life through our Film Program. Learn how to write your own script, the art of cinematography, edit your own film, and ultimately, produce a final product that will be submitted to various film festivals and competitions throughout our community. Discover the process of becoming a great storyteller and create your very own masterpiece! Discover the art of decorating objects with paper cutouts. The task of creating something within a certain theme will allow your child to see patterns and motifs in real life situations as well as in art. Create charming pieces of art by decorating objects and furniture in our Decoupage course! Bring your imagination to fruition and make simple objects your artistic creations! Some young artistic minds love to design rooms and buildings. At Nextide, we introduce students to the art of interior design and each of its components. Discover how to create your own designs and in what atmosphere to use them. Learn the logistics required for funding and managing the project. Additionally, we offer students our facility as a project for them to develop! Don’t just dream. Imagine, design, and create! People, Landscapes & Still life. Call to schedule your first 30 minute session! Students will receive coaching from our accomplished instructors at the students’ desired paced to help them excel at the competitive level and will learn how to identify flaws in an opposing plan while eloquently explaining the problems of the opposition and simultaneously supporting their own plan. We connect speech & debate students interested in competitions with the best forensic activities available for middle & high-school students. This debate class will introduce students to the preliminary elements of rhetoric to improve their speaking power along with their argumentation abilities. Students will understand the differences between a well-formed argument and simple contradiction. 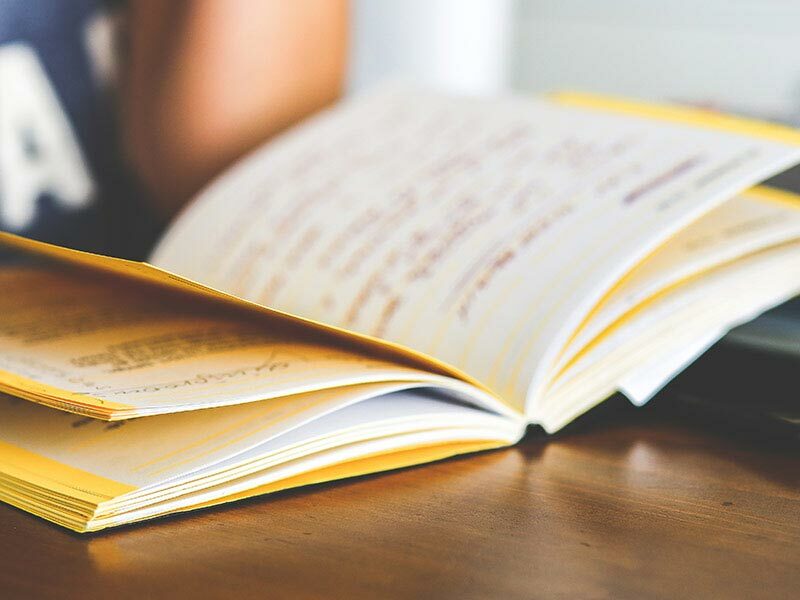 This course will prepare students to reason sharper, write cleaner, and be physically prepared to sit at a desk and write essays for classes and exams. Students will begin by learning essential aspects of writing (e.g. thesis development) and developing their critical thinking as they construct the different parts of their essays. Through this course, your student will not only be able to write clearer, but will also find success on tests such as the SAT. College / School / Competition Prep. Whether you are studying for the PSAT, SAT, or ACT, we offer a tailored program that will help you reach you academic goals. We seek to help students achieve the best test score in the easiest way without distracting students from their studies. Learn ways to master the tests that involve your academics and strengthen your studies. Education must be tailored to the abilities of the individual. It is never to early to begin preparing for college. With our long-term approach to college prep tests, we prepare students to confidently and successfully complete which every test they aim to complete. Learn the process from that “Eureka” moment to customer development to test your hypotheses to agile development of your idea. Discover the opportunities that are available in the world around you. 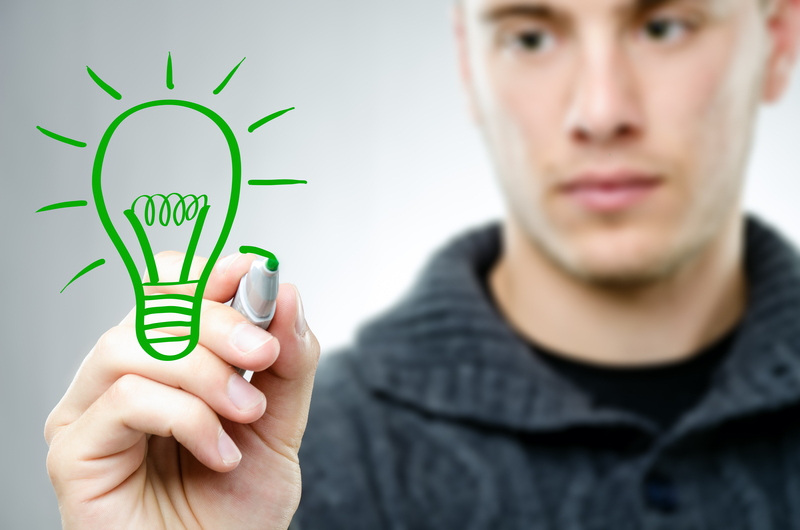 Come up with ideas for new products and services or add value to already existing products and services. Learn to use empathy and service design tools like stakeholder mapping, journey mapping, personas, value-chain analysis, the job-to-be-done, ethnographic interviews, and more. Observe what people do to inspire deeper problem solving. Learn how to define problems and discover solutions. Students come to understand how different situations warrant different remedies and which remedies are the best for each situation. Learn how transform such problems into opportunities to help their businesses thrive. Don’t just react to situations; seize opportunities for your business to grow! Take the steps to become the next great businessman with our Entrepreneurship course! Students will learn effective business tools to envision their business and begin its development. Understand how to help your business thrive in different economic situations and overcome competition. Increase your ability to assess risks and calculate ways to use them to your advantage. It’s about time to let your imagination take a physical shape. The basics introduces our students to the hardware and software technology behind 3D printing. Get hands on training on 3-D printing objects. This is just the beginning…leaving us wondering what your next imagination looks like! Robotics & Electronics: Empower the young brains to invent, discover and solve real world problems through robotics & engineering. Hands on working with popular state of the art robotics kits such as Arduino, Raspberry PI and EV-3. Sessions to cover: Introduction to Electronics & Materials, Computer Aided Design, Concepts of 3D Printing, Introduction to Computer Science and Programming Techniques. Progressive learning path with iterative learning and associated deliverables / demonstrations. Readiness for competitions, show & tell and group recital demos. Education must be tailored to the abilities of the individual. Our academic enrichment programs enable our students to enroll in courses matched to their abilities and are not discriminated by “time”. Nextide Academy offers a comprehensive and well-rounded education with courses based on solid research, sound pedagogy, and applied innovation. Nextide Academy offers courses from 1st grade to 12th grade and have rigorous, relevant curriculum that challenges the students with a novel approach – engaging them with interactive, media-rich content. Set your goals high and dream to be an Olympian! We offer a comprehensive math problem solving curriculum to students in grades K-12 to take on the most rigorous curriculum sequences. Create your road-map to achieve national and international recognition. Did you think about solving a problem today? The rigor and methodology in our high school level programs give the students confidence, promote teamwork, offer a support system, hone communications skills, and improve self-esteem. Our project based approach provides with a deeper connection to the community. We want each of our high school students to leave a legacy behind for the younger generation to emulate. Whether you are studying for the PSAT, SAT, or ACT, we offer a tailored program that will help you reach you academic goals. We seek to help students achieve the best test score in the easiest way without distracting students from their studies. Learn ways to master the tests that involve your academics and strengthen your studies. Education must be tailored to the abilities of the individual. It is never to early to begin preparing for college. With our long-term approach to college prep tests, we prepare students to confidently and successfully complete which every test they aim to complete. 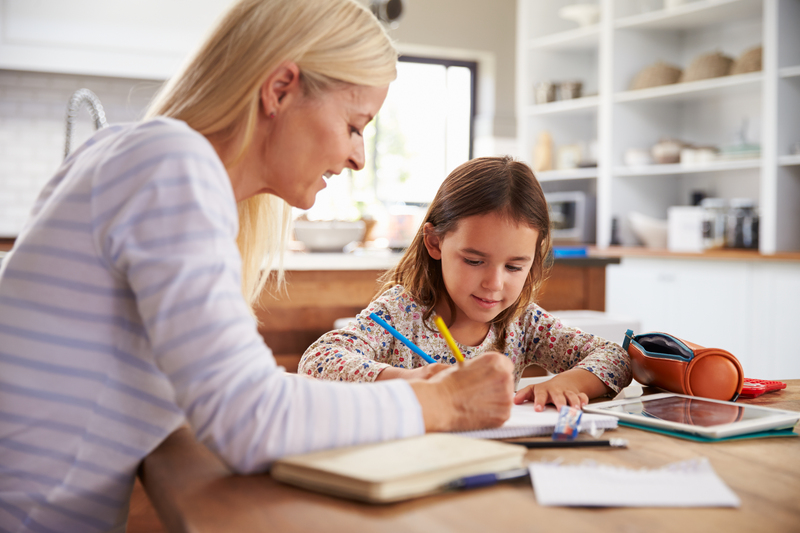 Homeschooling provides students a flexible schedule to nurture their love for learning in a comfortable environment. We have that same system! We provide opportunities to explore the studies they admire and thirst to learn more about. Join us to help develop your child’s education and take advantage of the liberties of homeschooling!